Paul Rusesabagina who inspired the film Hotel Rwanda has been accused of funding terrorism and seeking to overthrow the country's government. Mr Rusesabagina, who in 2005 was awarded the US Presidential Medal of Freedom, the country's highest civilian honour by former US President George W. Bush, insists he has done nothing wrong. Rwandan police say they have arrested the country's most prominent opposition leader Victoire Ingabire and are accusing her of forming a terrorist organisation. The man who inspired the film Hotel Rwanda has been accused of funding terrorism and seeking to overthrow the country's government. 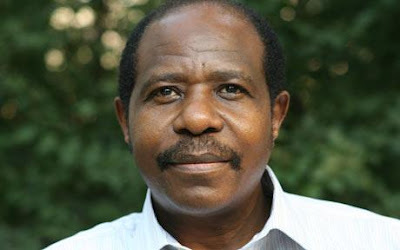 Paul Rusesabagina, who was declared a hero by the international community for shielding hundreds of Tutsis from the 1994 in his hotel, is alleged to have sent money from the US to the Democratic Forces for the Liberation of Rwanda (FDLR), a Hutu-majority rebel group whose commanders were implicated in the killings. 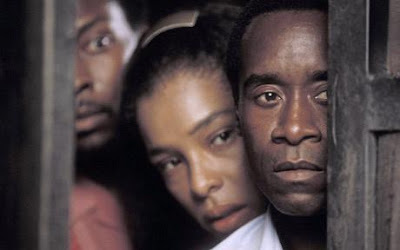 Mr Rusesabagina, who was played by Don Cheadle in the film, insists he has not sent money to Rwanda for at least seven years and dismissed the allegations as part of a smear campaign against him because he opposed the government of Paul Kagame, the Rwandan president, in the past. Martin Ngoga, Rwanda's most senior prosecutor, claimed he had hard evidence that Mr Rusesabagina, 56, sent money to two FDLR commanders in Burundi and Tanzania via the Western Union from San Antonio, Texas, where he has a home. "Those who want to continue considering him as a hero can go on," Mr Ngoga said. "We consider him a serious criminal suspect and we are challenging whoever speaks on his behalf to tell us whether he never sent money to these FDLR commanders we have in custody." It is alleged that the money was designed to fund the recruiting of fighters for a new military wing of FDU-Inkingi, a Hutu opposition party headed by Victoire Ingabire. Miss Ingabire was remanded in custody earlier this month on charges of forming a terrorist group. Mr Ngoga alleged that the FDLR commanders in custody have given evidence against both Miss Ingabire and Mr Rusesabagina. No formal charges have yet been filed against him. More than 500,000 Rwandans, mostly ethnic Tutsis and moderate Hutus, were killed in Rwanda's genocide. Mr Kagame, an ethnic Tutsi, has tried to downplay the role of ethnicity in post-genocide Rwanda, and people in the country rarely refer to themselves as Hutu or Tutsi and can face charges for speaking publicly about ethnicity. But he has been criticised by human rights groups who accuse his regime of iron-fisted control and of silencing opposition politicians and media outlets with arrests and attacks in the run up to August president election. 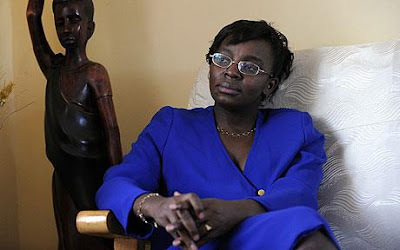 Victoire Ingabire was arrested on Thursday, police said in a statement. Human rights groups accuse the Rwandan government of using allegations of terrorism to stifle opposition. Rwandan authorities say Ms Ingabire was implicated during investigations into the activities of a former commander of a Hutu militia group operating in neighbouring Congo who was arrested on Wednesday. Police claim this is the military wing of Ms Ingabire's party. Ms Ingabire returned to Rwanda in January after 16 years to challenge President Paul Kagame who was re-elected in August elections. She was barred from contesting the poll. Rwandan police say they have arrested the country's most prominent opposition leader and are accusing her of forming a terrorist organisation.